Book printing services - best quality and advice! Books are part of the Mohn Media DNA. From day one it was always about books; our passion. Books are part of our lives and have such permanence in our fast moving world. We take a joyous pride in the production of each book. Books bring out the best in us and our determination to deliver to the best standards, on schedule. Our reputation worldwide is unsurpassed. Our investment in the business means we have all the tools to deliver to your highest expectation. We can produce all formats and bindings. The right tool for the right job means fuss-free printing of the highest quality produced on the best equipment. Our complete range of presses and finishing kit enables us to print with the most cost effective planning, and fast. 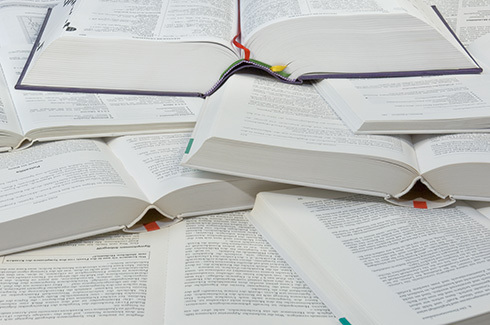 Every year we produce over 35 million books for national and international businesses. As the leading book printer in the market we never stop developing new solutions and innovations. Classic books produced with the most modern of printing and finishing techniques brought together under one roof. 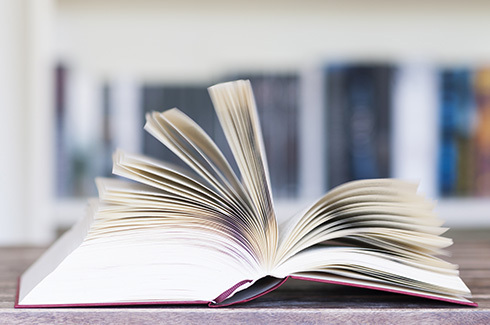 This means every book we produce achieves the same exceptional standard. Section thread sewn to perfect bound softback, right here at your disposal. We can turn on the full power of the largest factory in Europe to meet the shortest of schedules. Not just printing and binding at your disposal. As an all-round supplier in our markets, we can offer you all services from design, photography, pre-press and printing, finish, binding and packaging right up to dispatch. Do you have an unmissable deadline? Our reputation has made us the ‘go to’ team for delivery reliability for that key launch date. From the impression making large format coffee table tome to the handy pocket-sized book our complete press and binding hall will be perfect. All sizes of presses and bindery kit can be called into action from our extensive roster of machines. The plant has an amazing 23 web offset machines and 15 sheet-fed presses able to cope with every pagination and format. We understand your books need to make an impression. You can achieve that with a special format or cover finish. We have exceptional experience from working with international businesses. Every type of material and finish seems to have passed through our doors. Each book leaves our factory with a story to tell of care and attention. 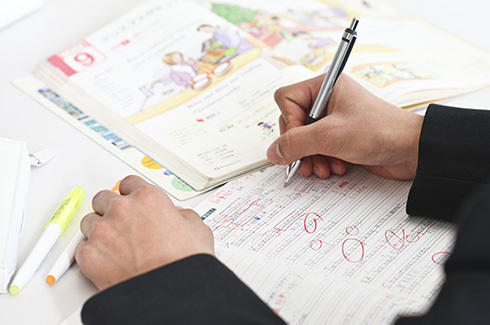 Our experienced calculation team will help develop the perfect result within budget. We are fully engaged from day one in sourcing materials and creating finishes that meet your needs. Here at Mohn Media you do not have to choose between a few standard formats and materials. We will enjoy finding the right solution for you. Maybe making some dummies for you to get final approval signed off. A good imagination is important but there is nothing like the feel of a book. What about special versions? Short run, a bespoke finish or a personalised copy? No problem. We have digital presses, special binders, and even individual cartonning and addressing lines ready and waiting. Your book team at Mohn Media can call on every aspect of the process almost exclusively in-house. Why would you pay someone else to help coordinate when you can talk to the manufacturer that does it all – and has built the highest reputation over the years of our dedication to books. A book produced at Mohn Media will always feel that little bit special. 1. How long have you been working for Mohn Media and what attracted you to your role? I’ve been with Mohn for over 3 years, Its capability and reputation was important but the people I met prior to joining was the deciding factor. 2. How would you describe your ‘normal’ work day? I don’t think there is ever a normal day, my travel to and from the plants and customers both new and existing makes my day very varied. I use a lot of remote communication tools to stay in touch. Travel takes up a lot of my time but its always good to meeting with customers and colleagues face to face. I love print, I enjoy the fact we create fantastic pieces of work that you can show physically, they show clearly all our hard work and how they make a difference to our clients businesses. 4. Did you experience something on your job that you will never forget? I was invited to meet with Queen Elizabeth II, this was in thanks for printing the books that celebrated her Diamond Jubilee. It was a very proud moment and showed that print is still recognized at the highest level. Spending time with my wife and two children, if I get a chance playing some golf or taking a ride on one of my motorcycles with friends of course! 6. What is one thing people would not expect to find out about you? ..I’m a true cockney by birth, born in Charring Cross, London when the bells where ringing! My west country accent doesn’t suggest this. 7. If you could go anywhere you wanted, which destination would you choose? Cornwall in the UK, a beautiful rustic Atlantic coastline in the South West of the UK. 8. What three words would your friends use to describe you? 9. What’s one thing you couldn’t survive without? My family of course, and music I have a wide taste. 10. If your ‘future-you’ ten years from now could give any advice to your ‘present-you’, what would that be? Have a good work life balance, and never look back. Fascinating specialist knowledge in high-quality packaging – we produce your specialist literature in astonishing quality. Because successful publications never come about by accident. Schoolbooks are a treasure trove of information. 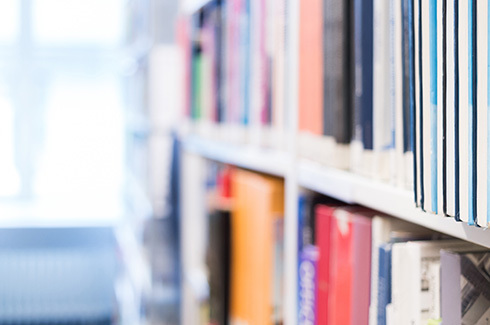 At Mohn Media we apply our expertise to print high-quality schoolbooks. Do you have any special requests when it comes to finishing? We’d be happy to oblige! We produce books for connoisseurs. 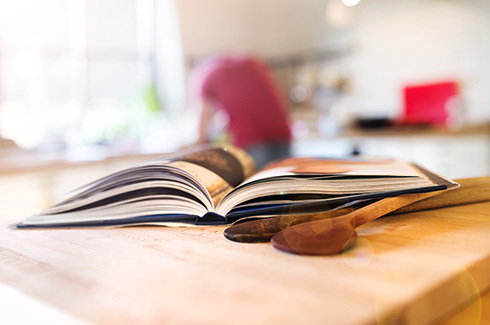 From vegan to conventional diets, from paperbacks to 100-page hardcovers – as a full-service printer, we’ll make your cookbook a bestseller. 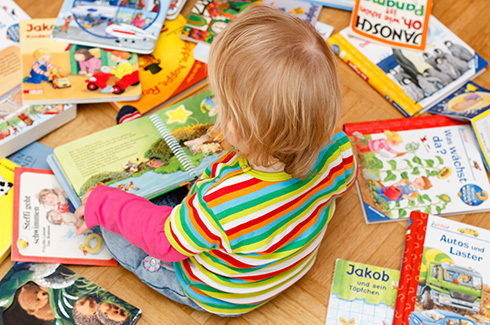 Most of us experience that first magical encounter with books during childhood. To help create these special experiences, we at Mohn Media print children’s books with passion and a clear focus on quality. Bibliographies are the signposts of science and academia. We print them with the greatest care to ensure that they are readable and of exceptional quality. Illustrated books need striking images and brilliant colours. Outstanding quality is required – and that is exactly what we provide at Mohn Media.